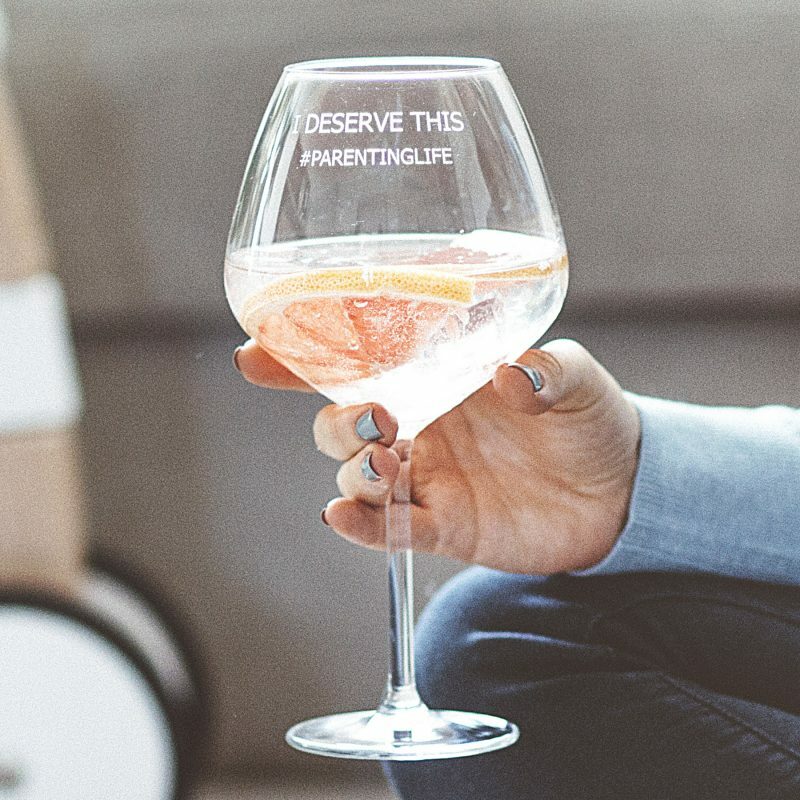 Our personalised goblet for mum is the perfect way for mums to enjoy a cheeky gin and tonic this Mother’s Day! 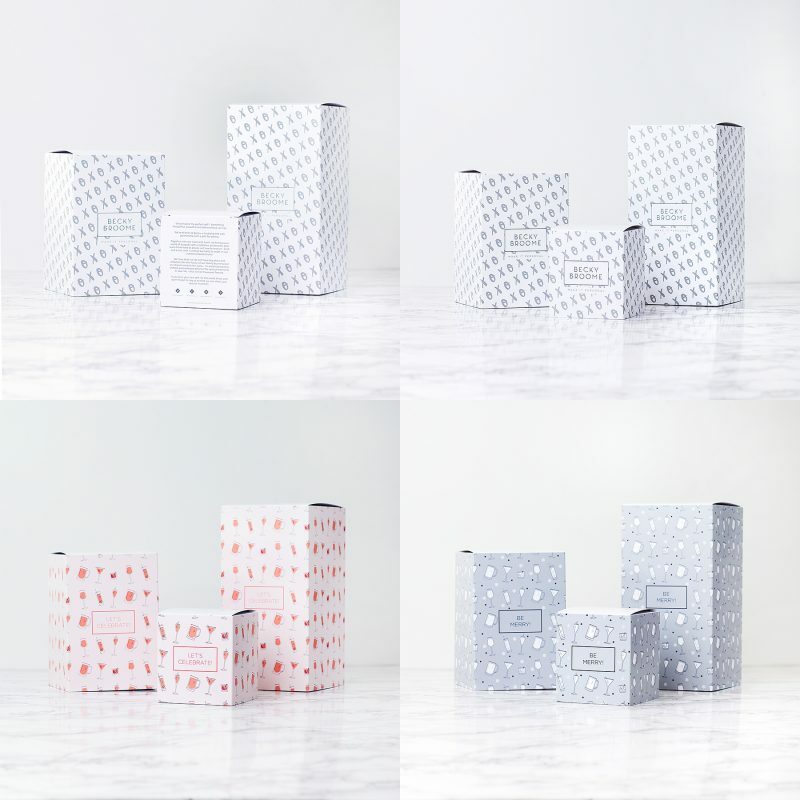 Your item will be sent in a Becky Broome box as standard. 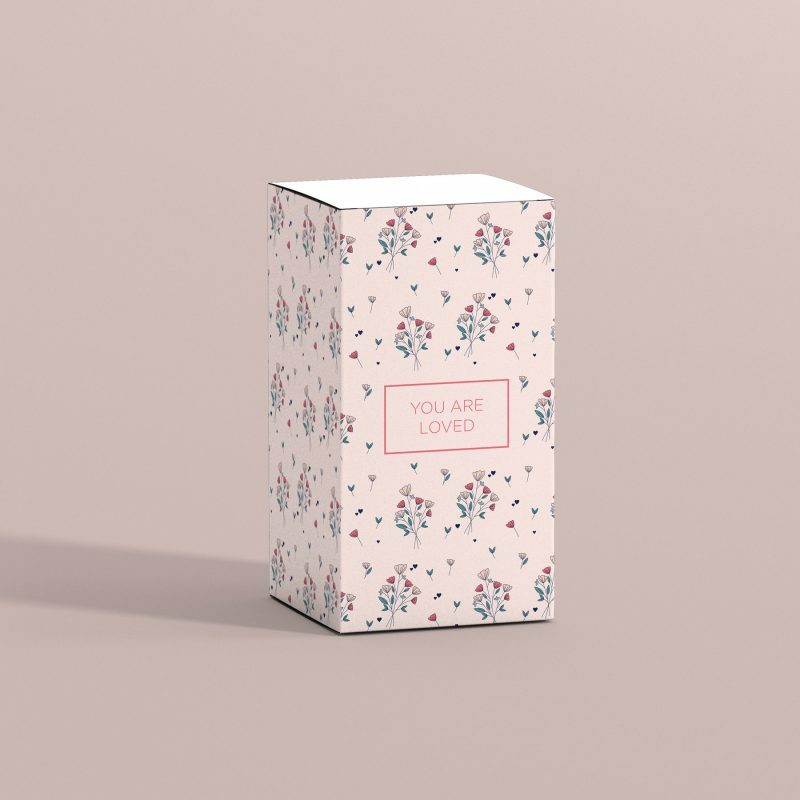 Please select below for alternative gift sleeves. Create a totally bespoke design by completely personalising your own goblet, making it an ideal Mother’s Day glass gift. Enter up to fifteen characters for each of the two lines of text. 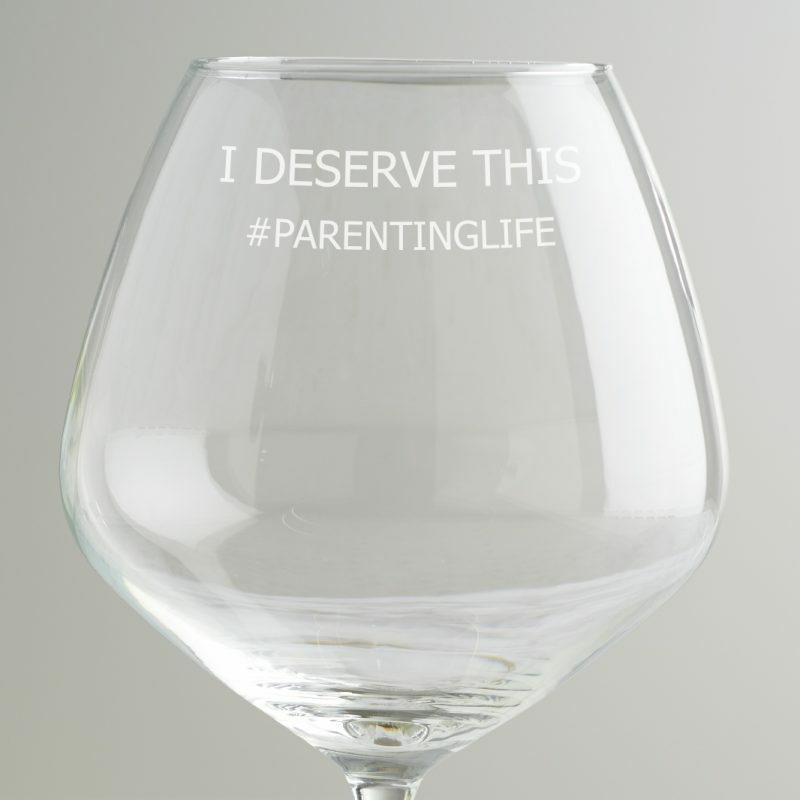 Please ensure your personalisation is correct as we will etch exactly what is entered. 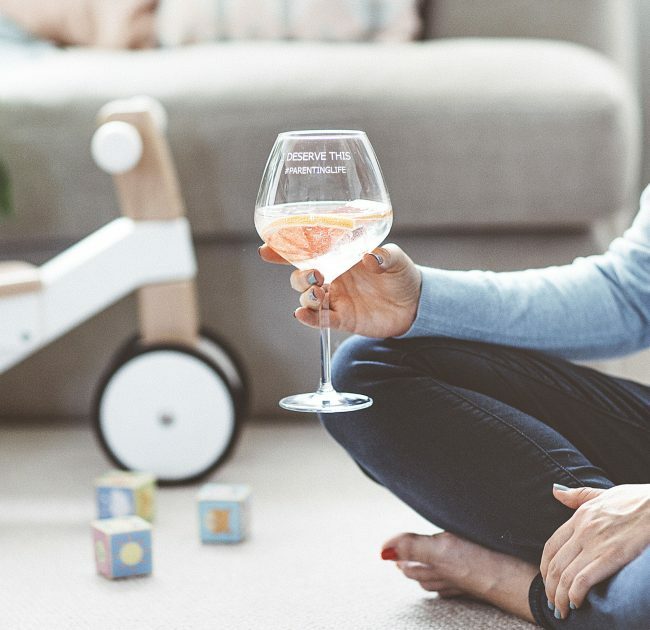 The Personalised ‘Parenting Life’ Goblet Glass is the perfect gift for parents who deserve to put their feet up for five minutes and relax with a glass of their favourite tipple. 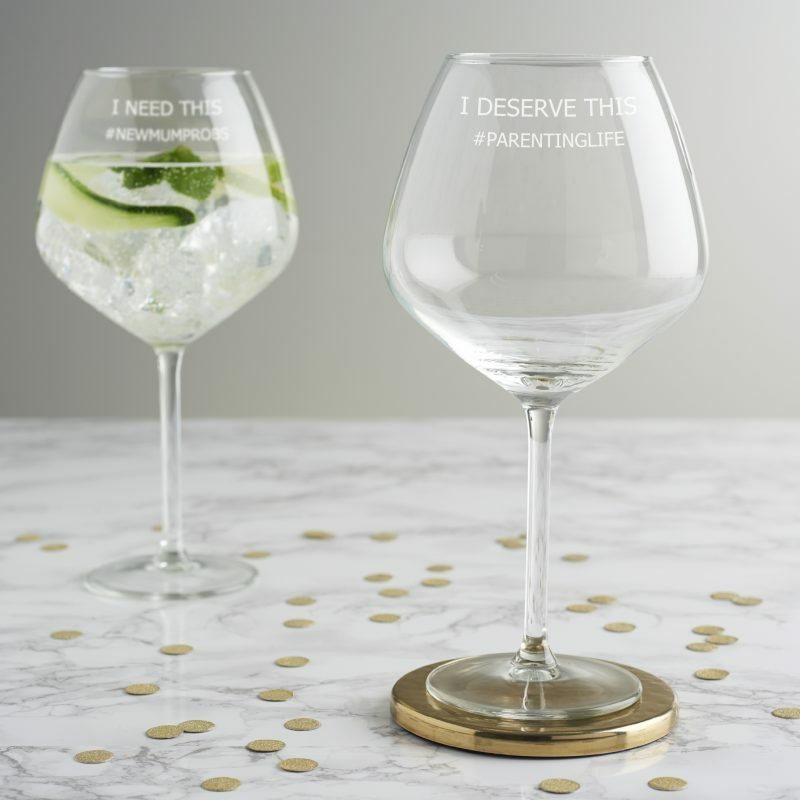 Each goblet is hand etched to order in our studio in Liverpool. As standard, the goblet comes wrapped in bubble wrap and is sent in a bespoke postal box.